Preparing to jailbreak your iDevice? If you have jailbroken your device before, jailbreaking again will lose all your installed Cydia apps. 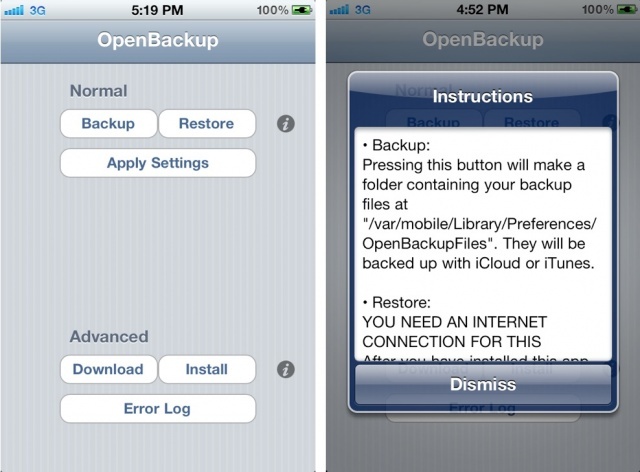 OpenBackup is a free Cydia app that backup your Cydia packages and settings to iCloud or iTunes. Just tap the Backup button and OpenBackup will save them to your iDevice, then sync to iCloud or iTunes. So after you upgrade your iOS firmware and jailbreak, install OpenBackup again in Cydia. Tap Restore and OpenBackup will restore the all Cydia packages and settings you backup previously.